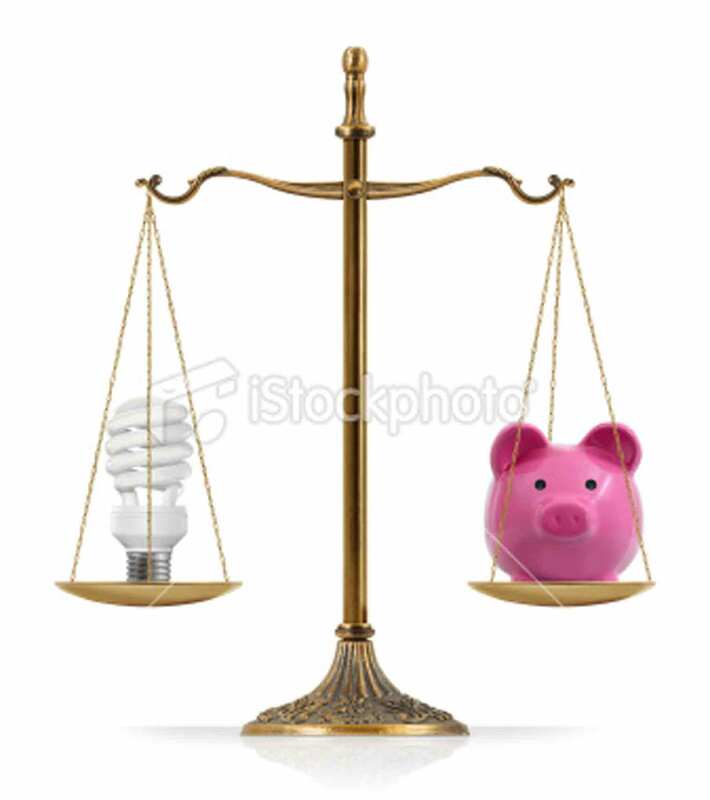 Efficient energy use concept: There is compact fluorescent light bulb at the one side of “Scales of Justice” while there is pink piggy bank on the other side. Compact fluorescent light bulb and pink piggy bank are equal weighted. Isolated on white background.